Spring is finally here! It’s time to overhaul your yard so you can enjoy it all summer long. Here are some simple steps to design the perfect garden for your home. You don’t have to do all these steps in just one day. Depending on the size of your yard, you may need a weekend to get things into shape. Take your time to create exactly what you want. Begin your yard makeover by doing basic cleanup. Pick up debris like fallen branches. If you have a mulching lawn mower, you can skip raking the lawn. Cut your grass to the best height for the type you have. For example, Kentucky bluegrass should be kept 2 inches tall in the summer. Best practice is to avoid cutting more than 1/3 of the total height of the grass once you’ve got it to the right length. Edge along sidewalks and your driveway. Inspect your trees and shrubs for disease and problems. Prune away dead branches and limbs. Put down mulch around them if needed. Remove all non-permanent edging materials like plastic fences, bricks, or stones. Use a metal edger, spade, or hand tools to cut along the edge of the bed to neaten up the boundary. Lay down new mulch. Plant new flowers if you desire. Put down new, or replace the old, edging materials. Watch a 4-minute video on how to edge a bed. If you don’t need a large open lawn area, why not add in some visual stimulation? Take your garden hose and use it to draw an area on the lawn where you would enjoy a new flower bed. Use your edger or spade to create the boundaries of the new bed. Then use a shovel to remove sod and expose the soil. Put down edging materials like stones or bricks. Lay down mulch on the new bed, and then plant flowers, shrubs, or other greenery. Springtime is a good time to apply fertilizer. See our in-depth article about the best fertilizers for your grass and plants. As much as you might enjoy looking good for the neighbors, your home is primarily for your enjoyment and relaxation. 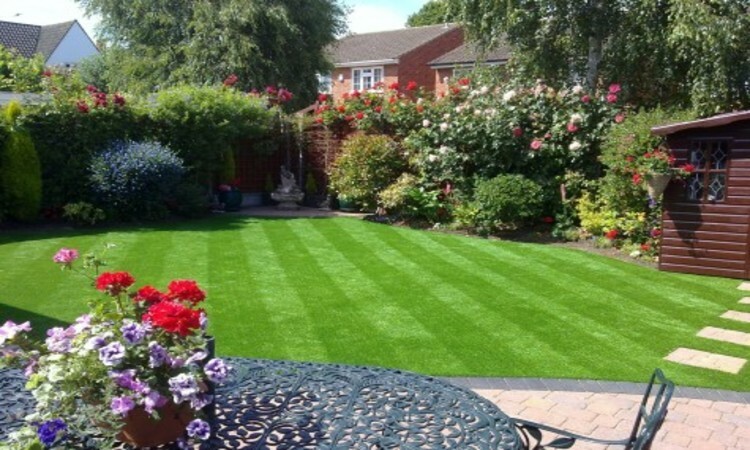 Why not give it a few tweaks to make your yard better for you? Grow ivy on the fence. Plant clumping (not running) bamboo around the pool. Plant cypress or arborvitae around the deck. All of these plants grow quickly and are easy to maintain. Make stepping stones into a chessboard. Build a fire pit. Hang a hammock. Most of all, put out comfortable furniture so you will want to spend time outdoors enjoying all your hard work. 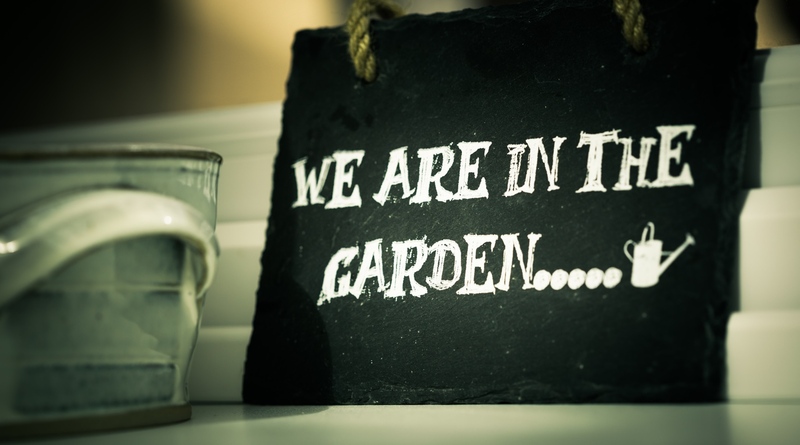 To keep mosquitoes away, grow marigolds, horsemint, catnip, citronella, rosemary, and lavender. Some of these grow just as well in planters and pots as they do in flower beds. Pets and kids have a tendency to eat things they shouldn’t. When you choose new plants, check to see if they are poisonous. The ASPCA has a handy list of safe and unsafe plants for animals. The University of California has a booklet describing plants that are safe for humans. It’s all well and good to dream big, but sometimes reality isn’t so grand. You can still fix up your yard on a budget. A lawn mower is one of the biggest expenses a homeowner has. But over time, owning your own lawn mower can result in significant savings over paying someone to cut your lawn with their mower. If you need to squeeze another year of service out of your old lawn mower, check out these tips to revive it. If you can’t afford everything you want right now, focus on essential tools. If you can’t buy both a shovel and a spade, get a spade. If you don’t want to buy the full kit of hand tools, get a Japanese Hori Knife. Borrow or rent tools, or look for open box deals at the hardware store. Save money on fertilizer by leaving mulch or clippings on the lawn. Compost your food scraps to make fertilizer. Seeds are cheaper than buying plants from a nursery. Use rocks from a river to edge your flower beds. If your water is expensive, put up a rain barrel to collect Nature’s bounty to water your garden. Set up an inexpensive drip irrigation system. Or forget watering for the most part by xeriscaping your yard. 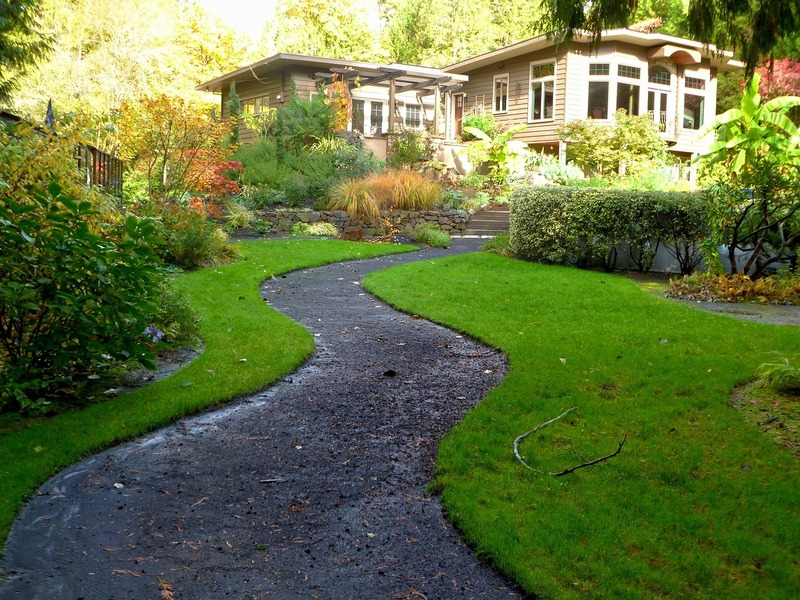 Maintaining a beautiful yard is a year-round task. Here are some tips for keeping up with the job. The cold months are the best time to plan out your springtime tasks and get your equipment into shape. Clean your garden tools and sharpen spades, blades, shovels, trowels, knives, and shears. Tune-up your power tools like your lawn mower and weed trimmer. Research new plants for your garden and buy seeds. Read up on gardening tips. Make sure existing plants are protected from harsh weather. It’s time for yard cleanup, planting, and fertilizing. Get your grass and plants prepared for summer heat by putting down new mulch and testing your sprinkler system. If you’re on the lookout for a new lawn mower, catch the sales in April and May. Mow, mow, mow your lawn…each week if you can. Don’t cut more than a third of its height each time so that it doesn’t go brown. Forget fertilizing because it will only burn your grass right now. 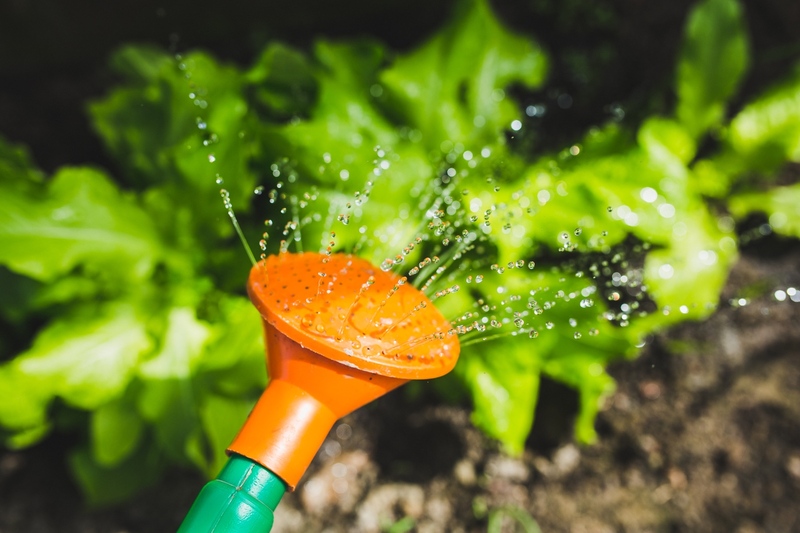 Keep on top of watering, and try to do it in the early morning hours. Things are winding down. Make sure any dead branches are pruned so they don’t blow down and cause damage during winter storms. Clean equipment and drain your mower’s gas tank for winter storage. Yes, some bugs like earthworms, ladybugs, and bees are helpful for your garden. But other bugs are just pests. Don’t feel obliged to use toxic chemicals to kill unwanted garden guests. Try Neem Oil for an organic solution against powdery mildew, mites, aphids, and other little critters. If your pests are the four-footed variety like deer or rabbits, there are other natural repellents you can use. For rabbits: plant garlic plants or wormwood around other plants. Sprinkle garlic powder on adult plants to make them taste and smell terrible to rabbits. For deer: You can hang reflective, shiny strips of foil or Mylar to deter deer. But if tacky isn’t your style, try making a homemade version of deer repellent from rotten eggs and beef bouillon. If you’re looking for something new to plant, we can recommend some of these gorgeous perennials for your garden. Lavender—it’s purple and it smells good, need we say more? Expand your gardening skills with these tips to save you time, work, and money. Sow seeds in a row or a pattern you’ll recognize. That makes it easier to know which are weeds and which are your plants sprouting up from the soil. Plant bulbs in odd-numbered clumps. They have a more stunning impact when grouped in fives or sevens instead of planted in rows. Consider your color scheme ahead of time. Sketch yourself a picture of how it will look. Keep seeds stored in the refrigerator. Seriously, we’re not joking. They will keep better as long as their environment is cool and dry. Don’t leave blank spaces unless you’re planning a Japanese rock garden. Empty soil is an invitation to weeds. Play with your design before planting. If you have plants from the nursery, place their pots in position to see how they look before you put them in the soil. It’s easier to weed when the ground is soaking wet. Getting muddy will save you some effort. Prune evergreens after they sprout their new branches. That will save you from having to do it more than once each year. Save time and effort by leaving plants in pots. Put the pot into the ground with the plant already in it. Discover which lawn mower is the best one for you. Choose the best weed whacker for your budget. See more free tips on how to keep your yard in top shape.